Do You Need A Dedicated Web Server? If you currently run or are planning to start up a website that deals in e-commerce, or runs any kind of service, you may want to think about your hosting requirements. You will probably be expecting a great deal of traffic and you will want to make sure that your customers have a great online experience of your business, so perhaps you should consider using a dedicated server. Normally when you buy hosting from a company, you use a shared server, which you share with other webmasters. You will each have a certain amount of bandwidth and disk space, as specified when you sign up for hosting. The problem with this is that if you are expecting a lot of traffic, your visitors may experience delays and your site may have difficulty loading with extreme traffic. 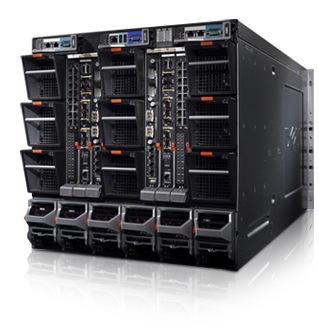 In these cases it is wise to invest in a dedicated server. This means that you do not have to share the server with anyone else. It is just for your website. Since no one else is sharing your web space, a dedicated server is far more secure. If you are trading in large amounts each day this kind of extreme security can be vital to protect you and your customers. Of course you will have much more space. You can have far more images, videos and all sorts of other features. The bandwidth is all yours, so traffic coming to your site will have no problems accessing your site at full speed. Your own server means more control. There are no other webmasters to worry about, so you have many more control options. The possibilities for using various scripts and software are endless with your own dedicated server. You will find that a large site with many features will load very quickly, as the server is all yours, so no other websites are loading from it. Are there any disadvantages of using a dedicated server? I expect you have already guessed what the big con in all this is. The cost. Yup, a dedicated server is a lot more expensive than regular hosting options. I suppose you just need to think of the large difference it will make to your site. After all one security slip up and your ecommerce site could suffer far bigger losses than the cost of a dedicated server. Is it time for me to upgrade to a dedicated server? You will know when it is time for you to think about this option, when you begin to approach the limit of your current hosting option. If you only have a basic hosting plan it may be possible for you to simply upgrade to deluxe and meet your needs, but if you already have the top package a dedicated server may be what you need. It is also an important consideration if your company deals with secure information, such as credit card details. Your Web server and the browsers of its visitors communicate by sending messages. The browser requests a file that contains the HTML for a Web page.The server sends the information in the file. The communication between server and browser is not secure. Someone on the Internet between you and the person requesting your Web pages can read the messages that are being sent. If your site collects or sends credit card numbers or other secret information, you must use a secure Web server to protect this data. Secure Web servers use Security Sockets Layer (SSL) to protect communication sent to and received from browsers. This is similar to the scrambled telephone calls that you hear about in spy movies. The information is encrypted(translated into coded strings) before it is sent across the Web. The receiving software decrypts it into its original content. In addition, your Web site uses a certificate that verifies your identity. Using a secure Web server is extra work,but it’s necessary for some applications. You can tell when you’re communicating using SSL. The URL begins with HTTPS, rather than HTTP. Information about secure Web servers is specific to the Web server that you’re using. To find out more about using SSL, look at the Web site for the Web server that you’re using. For instance, if you’re using Apache, check out two open-source projects that implement SSL for Apache at www.modssl.org and www.apache-ssl.org. Commercial software is also available that provides a secure server based on the Apache Web server. If you’re using Microsoft Internet Information Server (IIS), search for SSL on the Microsoft Web site at www.microsoft.com.